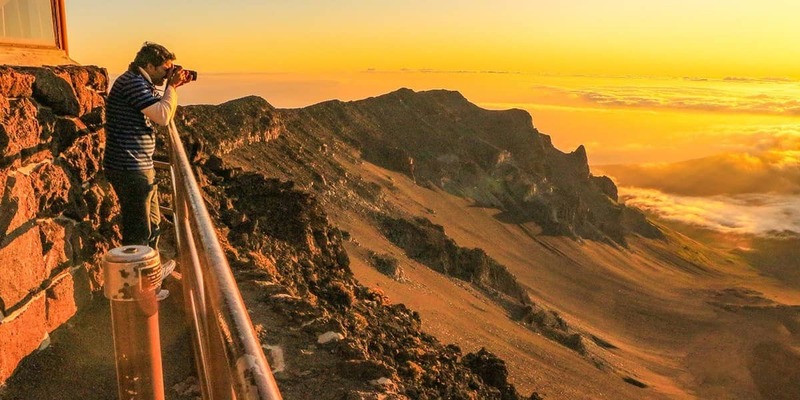 Visit the 10,000 ft summit of Haleakala National Park to view the magical Sunrise, then a bicycle safari down the mountain and Zipline Adventure on the 1st Zipline course in the U.S.
Where do we check in? 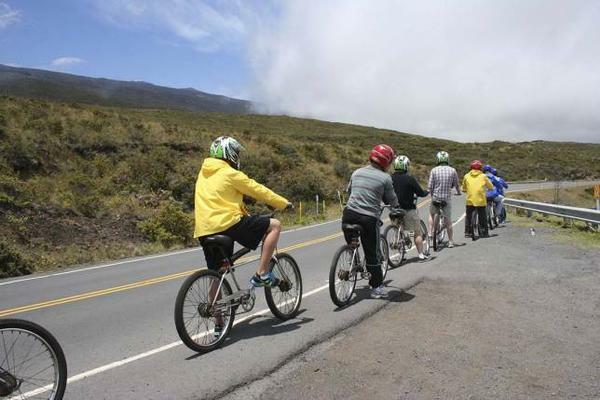 Haleakala Sunrise Bike n’ Zip tour guests will have the option of complimentary transportation depending on the location of your accommodations. . Your transportation options will be confirmed at time of booking by one of our reservation agents. Shorts and a short-sleeve t-shirt are recommended (due to regularly hot weather here). SUNSCREEN is highly recommended. White clothing is NOT recommended. Wearing brightly colored clothes will make pictures look amazing! 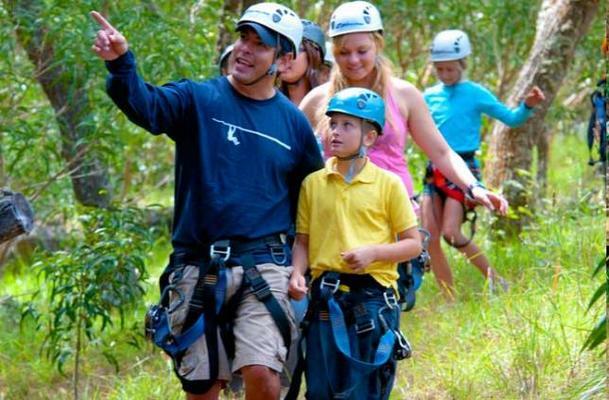 We require a closed shoe for safety – tennis shoes or hiking shoes are best. 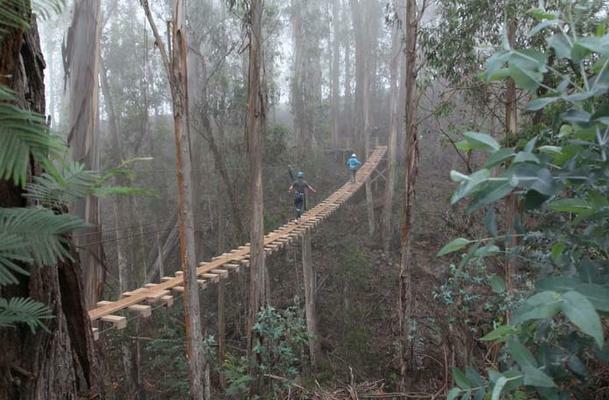 No hiking sandals, Teva’s, Keene’s, Crocs, Tom’s or Skeetcher Shapers allowed on the course. Are there any health issues I should consider? 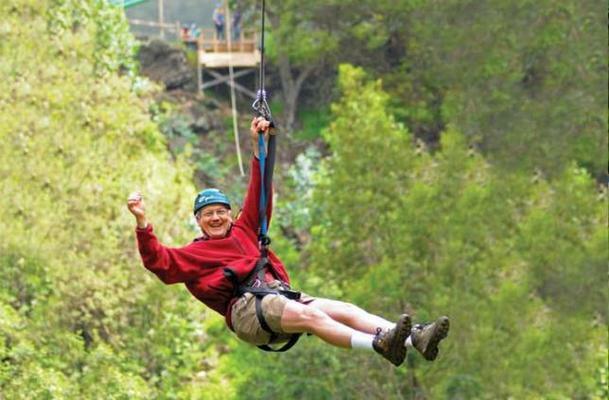 Customers with serious neck, back, or joint injuries or chronic heart problems should use their own discretion about their capabilities to safely participate in this activity. 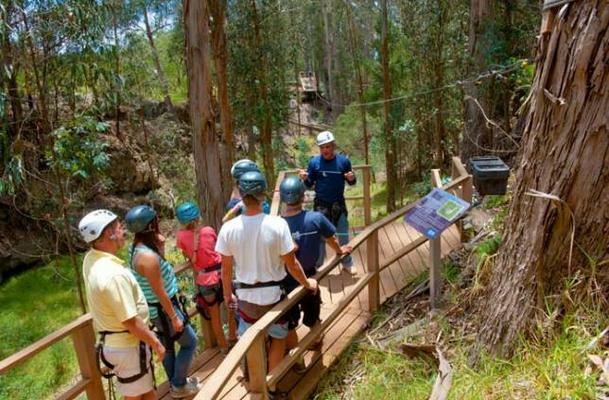 It is STRONGLY RECOMMENDED that anyone with who has had recent surgery, especially on ankles, knees or their back, not participate in this tour. 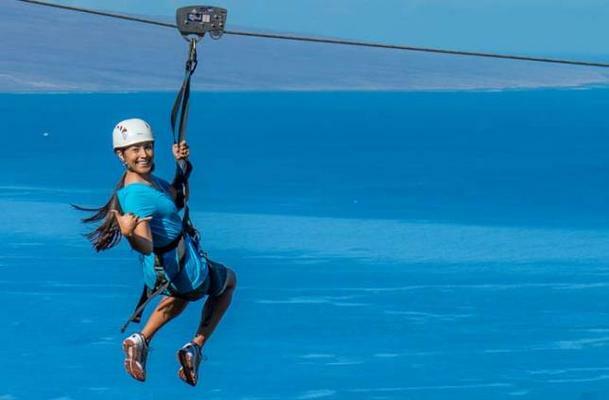 Although we try to always make customers comfortable both physically and mentally, some degree of impact on joints or some degree of customer anxiety about zipping is unavoidable. 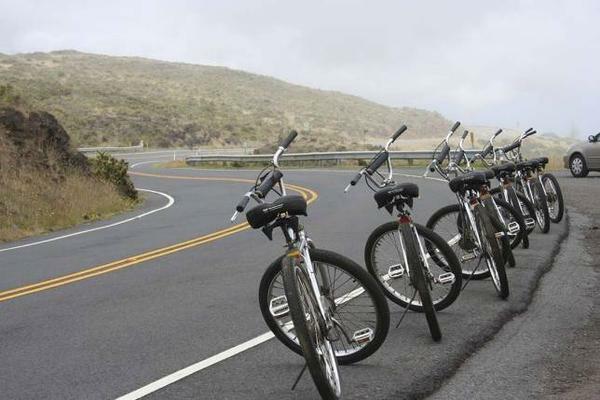 This tour meets about fifteen minutes from upcountry Maui’s paniolo town of Makawao, 2 1/2 mile up Crater Road. 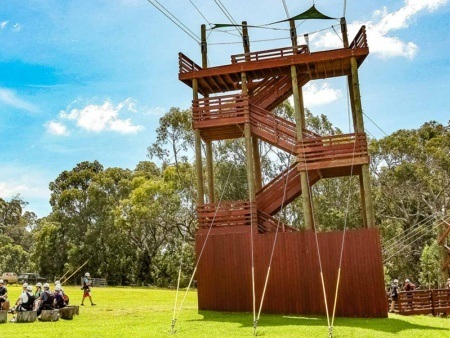 There is no address but you will see our zipline sign. Times: Tours start at 8:30am – 4:30pm and operate on the hour. 12 years or older. All customers under 18 must have a legal guardian sign for them. Competent bike riders please, no beginners. Have not been scuba diving within 24 hrs. 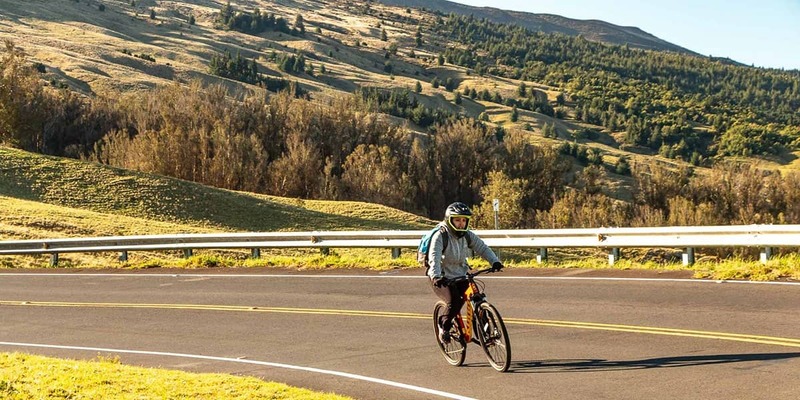 Wear warm clothing in layers for the sunrise and bike portion of your tour. 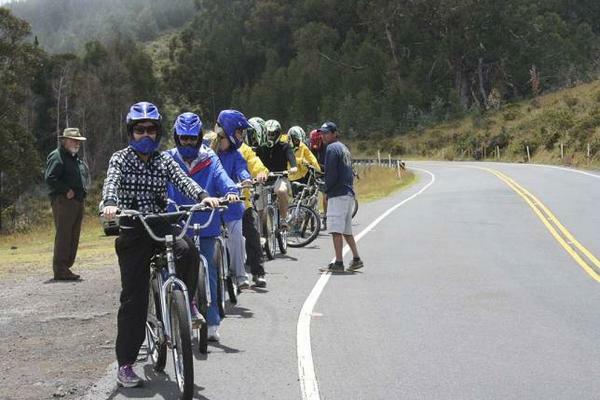 Excitement abounds on this adventurous Haleakala National Park Bike n’ Zip Sunrise Tour! 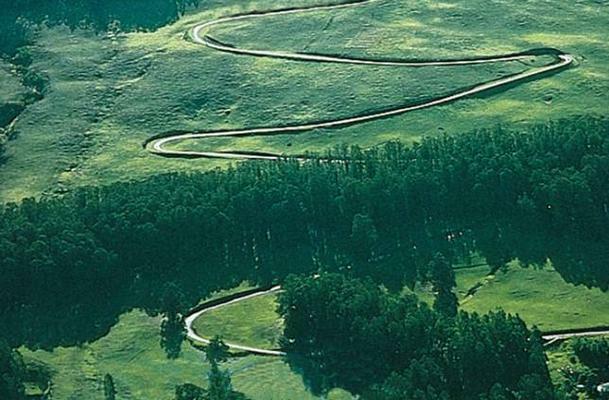 Begin with a car ride up to the 10,000 ft summit of the Haleakala Crater to view a majestic sunrise over Maui. 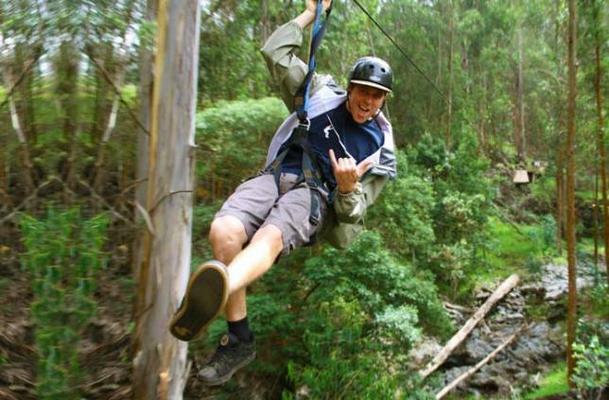 Then soar down the scenic slopes of this volcano on a bicycle and on to zipline above the lush forest canopy on the very first zipline course in the country! 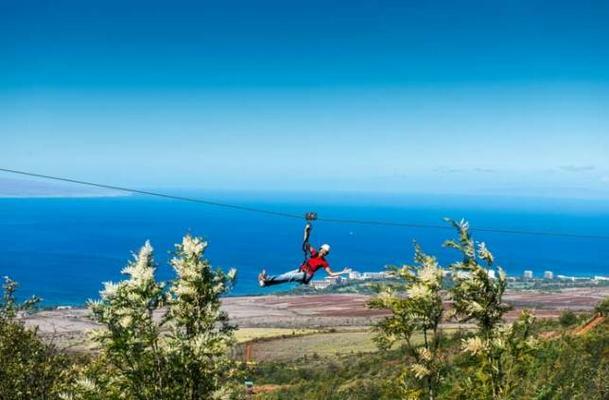 This is a Maui adventure you will never forget. 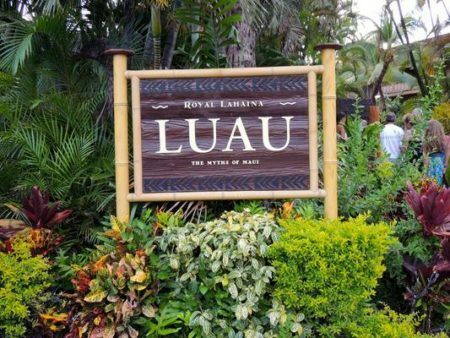 Embark on your luau experience of Honua’ula first with an occasional Hawaiian lei greeting. Taken place in a refreshing outdoor lawn setting, you will first experience an imu ceremony which is a traditional Hawaiian custom of cooking in an underground oven. 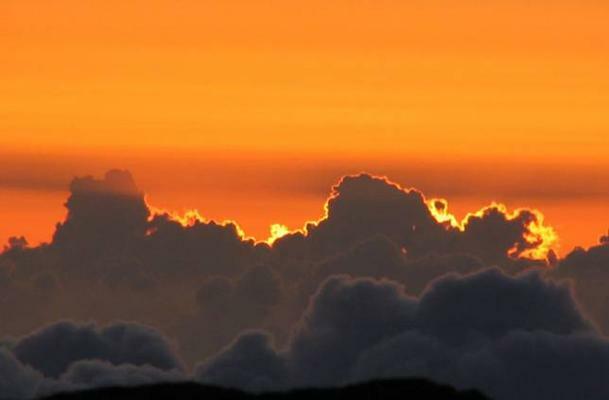 Climb above central Maui and ascend the world’s largest dormant volcano, “Haleakala” (literally “house of the sun”). 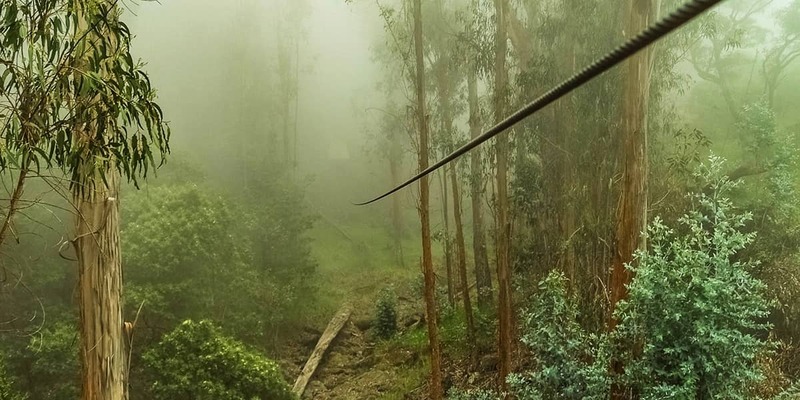 Discover its immense moonlike crater with pure iron oxide cinder cones towering over 1,100 feet tall. 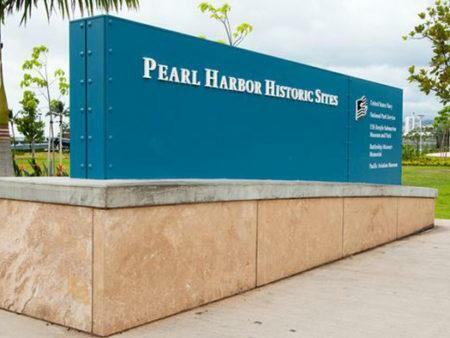 We invite you on a full day tour to the Island of Oahu starting with a flight on Hawaiian Airlines, upon arrival at the Honolulu Airport pick up your rental car and either visit Pearl Harbor first or take a 45-minute helicopter tour that circles the entire island of Oahu.